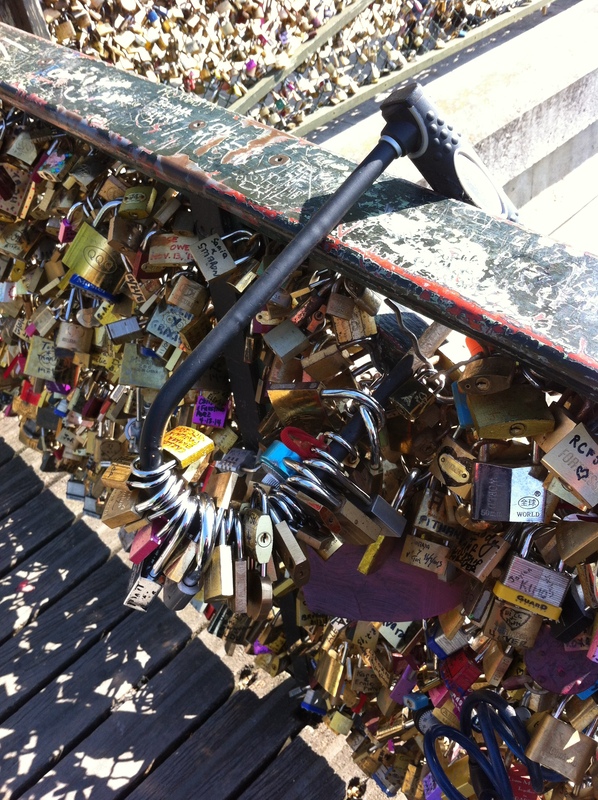 There are over 11 bridges and several landmarks in Paris inundated with tourists’ locks. People even hang locks on garbage cans and private houses. An illegal vendor has hung this bike chain so he can sell more locks adding to the weight on this footbridge. 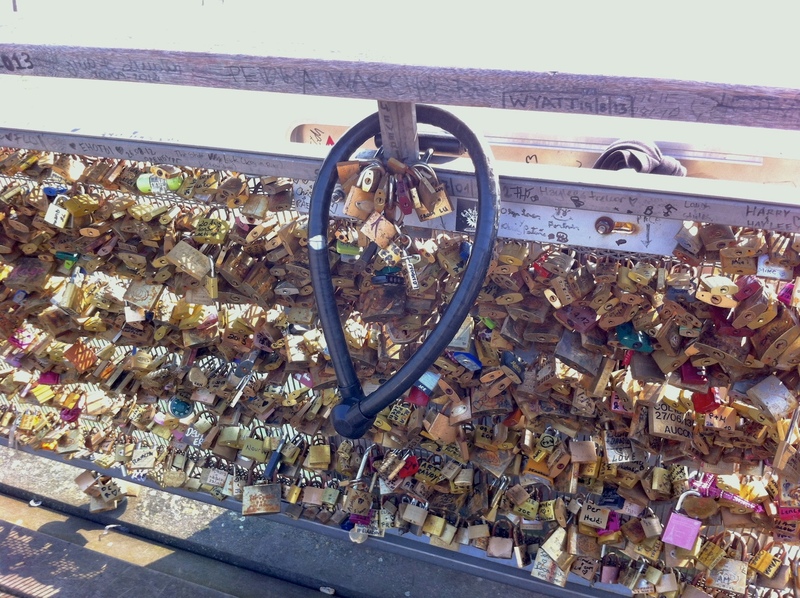 Illegal vendors add chains and heavy bike locks to allow more padlocks when the bridge is overloaded. This adds the weight on the bridge and detracts from the beauty of the landmark.